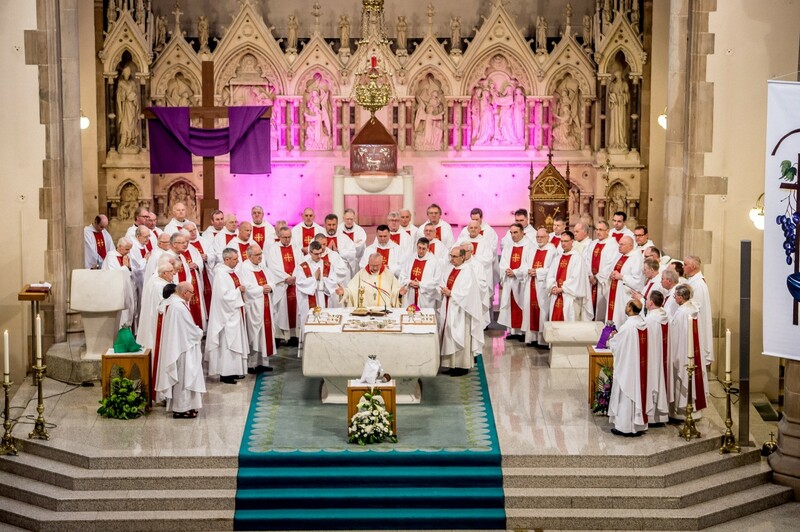 Bishop McKeown will celebrate the annual Mass of Chrism with the priests of the diocese in St Eugene's Cathedral, Derry, on Holy Thursday morning (18 April) at 10 o'clock. During Mass the holy Oils for Baptism, Confirmation, Anointing of the Sick and Ordination are blessed. Also, the priests renew their Ordination promises. It is the only Mass celebrated in the diocese on Holy Thursday morning. Everyone is welcome. St Patrick's Day Homily - 17 March 2016 - St Patrick's Church, Pennyburn.